Jordan Air Jordan 11 WMNS "Olive Lux"
Air Jordan 11 WMNS "Olive Lux"
A new colorway for the ladies, the Air Jordan 11 will swap out its traditional mesh upper with an olive suede complemented with a shiny olive suede. Release date is Nov. 23, 2018 at a retail price of $220. 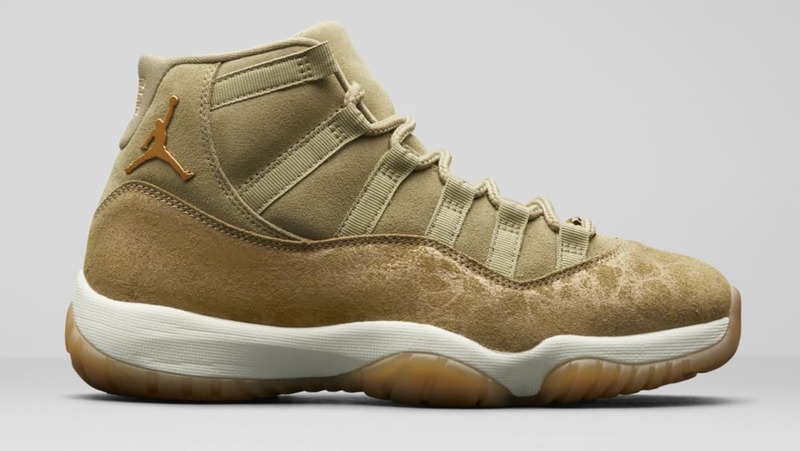 News Air Jordan 11 WMNS "Olive Lux"